Bring this beautiful Victorian back to its beauty. Total rehab for next cash buyer. Current seller working on roof to complete and is finishing some ongoing cleanup. Large wrap around porch First floor is main living area with large foyer/sitting area. second and third floors are bedrooms and bathrooms. Basement has separate shop area and various other rooms. Fenced in backyard. Needs new gas heating system, hot water heater and all appliances. This is next door to this lovely home, link. That’s a real treasure as well! Do you know if anyone has since bought that one? The house in your link is some of the finest examples of the home building art I have ever seen. The craftsmanship that this took was of such high quality and the sheer volume of it is stunning. I am totally floored and for that price. Holy canoli, why can’t we have some these in Georgia for that price? If I am not mistaken, my husband and I looked at this house 20+ yrs ago. It was in amazing condition back then. 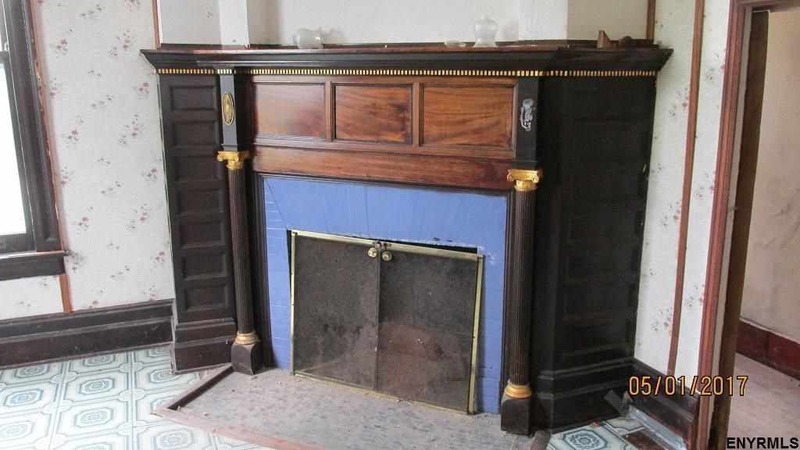 If it is the same house…it had 5 working fireplaces, a pipe organ that could be heard thru out the house, an amazing big kitchen, Down one floor from the kitchen was a HUGE coal stove. Upstairs had the BRs and 1 door led up a real thin staircase to rooms for the servants back in the day. Breaks my heart to see it like it is now. The only reason we didnt buy it was my husbands boss didnt want more than 2 people in the Amsterdam area. When we looked at it it was $70,000 something, principle only. I cried for days and swore if we had the money I would move the house to our County. Does it still have the features I mentioned? Wowee I love it! Price is right! I’m seeing $4500/year NOT $25k a year. NY taxes are high, but not anywhere near *that* high for a house of this size/value! I just checked the Zillow site – taxes listed at $2,133, which makes sense. Hmm. I’m not sure which is right, Zillow or the agents site…then again, perhaps the agents site is just an estimation. Either way it’s not $25k, lol. Another possibility… that the higher amount is the original tax levy, and that the lower one is with the STAR or STAR+ tax deduction (for school taxes) in place. But you’re right… either way, it’s not anywhere near $25K! In Indiana your property taxes are capped at 1 percent (owner occupied) so it would cost you 250.00 a year here for the same price house. This is why New York is such a hard sell and great houses like this one sit. Zillow often does not list school taxes, only property taxes. Kelly’s figure is probably property and school taxes combined. Glad to see this fabulous thing is getting some love. I hope the new owners finish the repairs and bring it back to its former glory! What a lot is left to work with in this home! Only thing between me and it is 2,826 miles! I like this house a lot. I am more than surprised to see that the exterior photo from May 2, 2017 showing the roof being worked on seems to be identical to the one on G maps from September 2015. Even the ladder is the same. Perhaps this is a re-list from back then, and the agent did not change the description, but it raises my suspicions. The price is right regardless. curiosity got the better of me, they are definitely different pictures. There is a small tree and fence (I’m using that term loosely)in the Google street view that is not in the realtors pictures. Scary that the ladder has not moved in 2+ years, otherwise it looks like time forgot the house and moved on without it. Oh my! SO much to like here! Such a great house. Glad it’s still in one piece, but sorry it has yet to sell after years on the market. 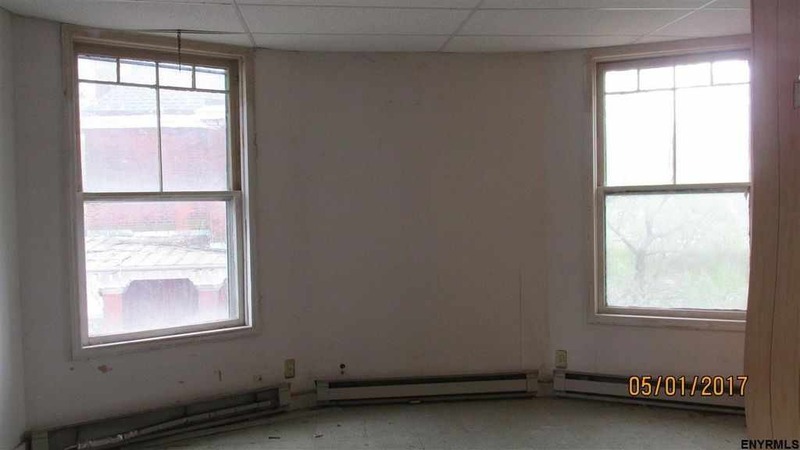 HEY – does that window look familiar? I could SWEAR this was on OHD previously. Kelly, I loaded the pix I had in my collection onto my Flickr: so if you would like to use them feel free. I loaded them with a creative commons attr., so you should be able to clip them there. LMK if not. Thanks for the Flickr photos of this place. I liked this home but now have a greater understanding of this place and how truly beautiful it was and is—and can be again. Thanks for the extra pictures. That stained glass window is beautiful. Your pictures also showed that “apostrophe” style doorway into the kitchen, I couldn’t quite get it made out on the realtor’s. The house does have a huge amount of potential. I also wondered about the front porch. It looks like the porch roof over the door doesn’t match the wraparound part. 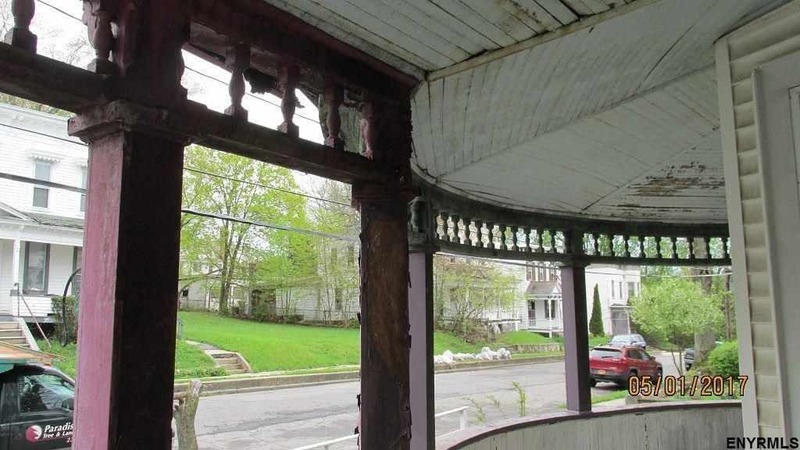 Wonder if originally the porch just flowed to the edge of the house. Gee, now that you mention it, yes it does! (The window looking familiar.) 😉 That grouping of staircase windows in your pics in the flickr link… so pretty! 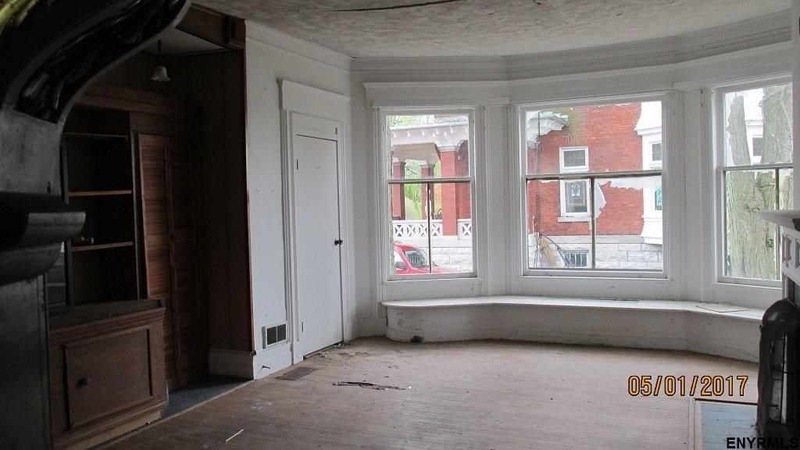 Bless the person that was smart enough to not strip out the original woodwork. The kitchen could be AMAZING with some love and imagination. What an amazing home! I love the amber-colored lamp on the staircase post. That woodworking! So many wonderful details I hope are preserved by whomever comes next. What is it about Queen Anne’s? I remember this one, amazed it wasn’t bought and salvaged because of the aesthetic movement fireplace and other architectural features. As I recall this was up for auction sale last time. Hope someone buys it but the taxes in New York are just a factor for many. This is a beautiful grand ol’lady just waiting to be beautified and brought back to her former glory. At that price, why not? The house at 18 Academy St has been sold according to Zillow. Last drove by 20 in 2014. The roof in rear had caved in. Lovely porch and some of the detail is gorgeous. Located on the edge of a sketchy neighborhood a block from an arterial highway but Amsterdam, despite its flagging fortunes, has beautiful rural scenery within a minute’s drive and many lovely homes and neighborhoods. Taxes usually range between 4-6k annually. Of course, always check with the municipality. Looks like a lot of work but worth it. When I read your post, I thought that you meant number twenty, the listed house, was sold. I was surprised that people were still posting when the house was sold. I hadn’t yet seen Kelly’s link to number 18 Academy, which is clearly marked as archived and sold in 2012. I just want it clarified for those who might make the same mistake, that this house has not been sold. It is tough enough to sell these old beauties without there being confusion about their status. So sorry to have confused you, Joe, or anyone else. Thought I said pretty plainly in the first sentence that 18 was sold, not 20. 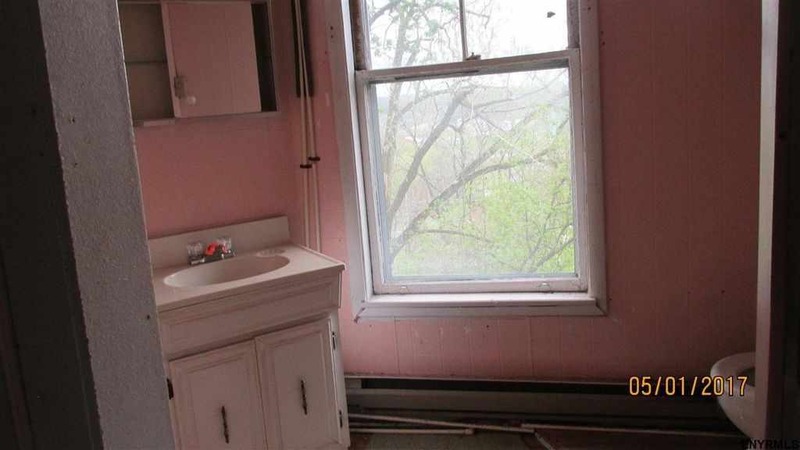 You’re quite right that this property, despite its remaining beauties, may be a tough sell. Thank you, but no apology necessary. You did state that it was 18 that had sold. If you had said that 18 was the house next door to this one, I wouldn’t have made the mistake. Since it was sold in 2012, I might have just said that it was not for sale. It’s just that when I read the posts, I have never made an effort to remember the house number. The time that I really look at the number is if I am trying to find it on Google maps or if I am interested in looking at it. I was more concerned that people who might be seriously interested and have the money and/or ability to fix it up, might be confused too. I think it would be a shame if that prevented the house from being saved. I know that I am a nitpicker, so apologize for that. Kelly, I’m not sure if I’m allowed to say this so if it is not allowed – please delete and I do apologize completely. I went around the neighborhood and I am a bit concerned with all the run down properties, frigs on porches, properties boarded up, foreclosure notices in windows of other homes and the lack of sales in the area etc. It’s not just on this street but all around. This worries me to some degree. I don’t want to make that kind of investment to restore this gem and the neighborhood doesn’t turn around in the future. The other concern for me is this house is so close to the highway. This is good for those of us who work and a plus but to some it may not be so great. Fantastic price but I wonder why no takers. On the upside, some of the properties are being very well maintained and to me that signals an up-coming neighborhood. I’m on the fence with this house but the bones are there and it is a beautiful home. It just needs more loving than I am willing to put out with the current status of the surrounding neighborhood. I hope the person, who is braver than I, will love her and polish her up like a pretty penny. Amsterdam, New York, has some great Victorian era housing-just take a streetview tour down any of the town’s older sections. I too vividly recall seeing this house listed in the past. It was undoubtedly mansion grade in its heyday but like the town its in, it has fallen on hard times. I can appreciate the comments about the sketchy neighborhood and condition of the house but without a few brave “urban pioneers” no badly faded neighborhood can experience a turnaround with rising property values eventually being the payoff. Someone has to take the risk for things to get better. A NIMBY (not in my back yard) approach will only result in further decline and neglect. Even a neighborhood with disturbing crime numbers can be reclaimed by organizing a neighborhood group with homeowners and other stake holders, working with local Police to act as their eyes and ears, and making the area feel like a neighborhood again instead of a group of strangers who go about their lives never knowing who their neighbors are. Formerly prosperous neighborhoods can become desirable again with investment and caring neighbors. As for this house, I’ve long admired it and consider it to be like an Old Masters painting found in a yard sale. Fully restored, it could be on the cover of Architectural Digest as a prime “before and after” example. Given the quality of architecture remaining on Academy, the whole street has that potential. Not much can be done about the state’s higher taxes. A former upstate NY friend of mine said that the rest of the state subsidizes the enormous cost of maintaining New York City. Perhaps that is true but over time I feel a more equitable solution can be found. Some communities provide a tax freeze at the pre-renovation value for distressed properties that have been rehabbed. It might be worth exploring every avenue available to keep the tax burden as low as possible. 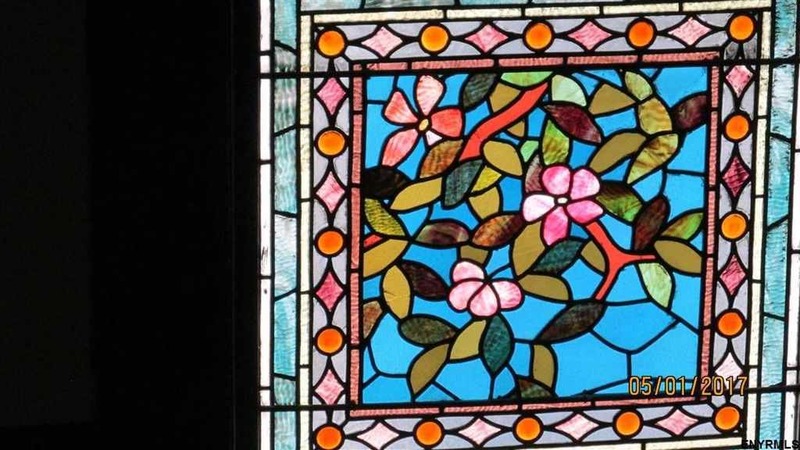 How the stained glass windows have survived is a miracle in itself so hopefully someone can take what is still there and bring the house back to its former glory. I really like this house but I’d have better luck getting my spouse to move to Tibet than Amsterdam, NY. I just have this gut feeling someone among the readers of this blog will be willing to take the risk. If you are that someone, please make sure you have enough experience to restore the house to its period appearance. 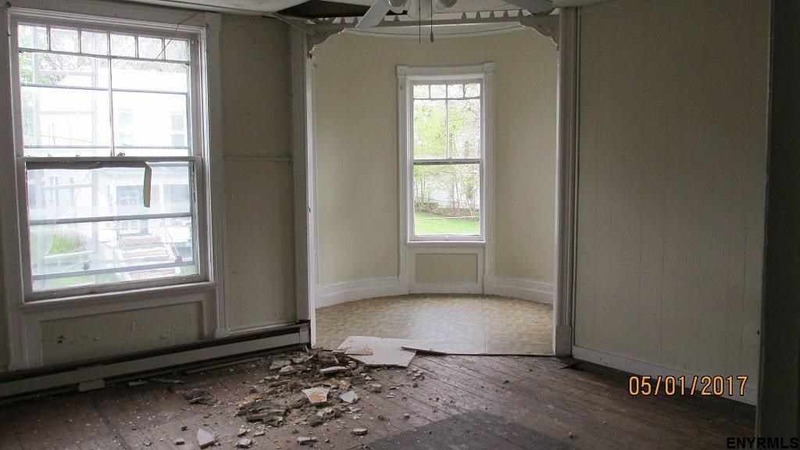 It also almost goes without saying that an ample budget is required but with luck and hard work, the basic renovation costs may still come in at or less than the cost of a new starter home in the ‘burbs with tons of period character no starter home is likely to have at any price. I can only wish the house and its next owner good luck as they move forward together. I’d even subscribe to The Architectural Digest if this house made the cover of an issue. Academy is too important of a street in Amsterdam to be lost and abandoned to neglect. If you’re like me, you’ve always wished to live in a neighborhood where you can make a positive difference-Academy is hurting for people who care and who aren’t afraid to roll up their sleeves and get to work. In my time, I, too, have seen many “iffy” neighborhoods transformed. And each started with a single restoration. John, Well said. I so very much appreciate your pragmatic wisdom and heartfelt inspiration.. Thank you for your numerous contributions you so generously share here. I’m also excited when I’ve subscribed to comments and see yours in my inbox. Thanks for the kind words, Nick. Thanks as well to Ross for his personal testimony about neighborhoods transforming from marginal to desirable because it all began with a house or two being restored. Regrettably, my own neighborhood in Fort Worth, TX, is currently in the throes of gentrification, not from the labors of old house restorers, but by profit motivated developers. They have decided that my neighborhood for the past 29 years, Fort Worth’s oldest, is now going to become “Apartmentville”. A precious few of the neighborhood’s period architectural gems are being saved; one is becoming a leasing office for a 353 unit apartment complex just breaking ground, (literally surrounding our small block on three sides) a nearby two story 1903 Dutch Colonial is fortunate because instead of a tear-down it is being moved two blocks north and will be placed on a new foundation with the new owner being an oil company executive. 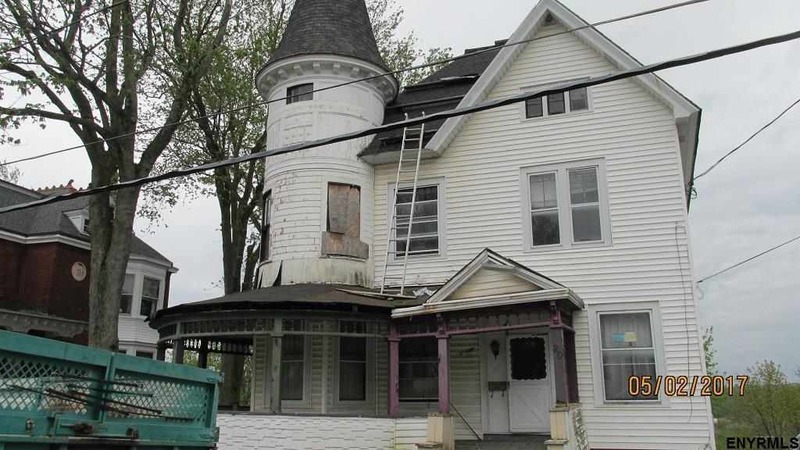 The new owner said he will fully restore the 1903 dwelling although the well maintained house is in excellent condition. My spouse and I have had dust colds for the past few days from adjacent demolition dust enveloping our house. Last Friday, the wind-driven demolition dust was so bad I insisted my spouse wear a dust mask inside our house because you could smell and taste it. I prefer seeing faded historic neighborhoods transformed for the better through the collaborative efforts of caring neighbors/homeowners rather than by profit motivated developers. Apartment dwellers seldom feel they have a personal stake in the surrounding neighborhood. Inevitably, in about 30-40 years, the shiny new apartments being built today will themselves become subject to demolition for whatever comes next. I still think neglect is the biggest threat to Academy Street in Amsterdam rather than redevelopment. 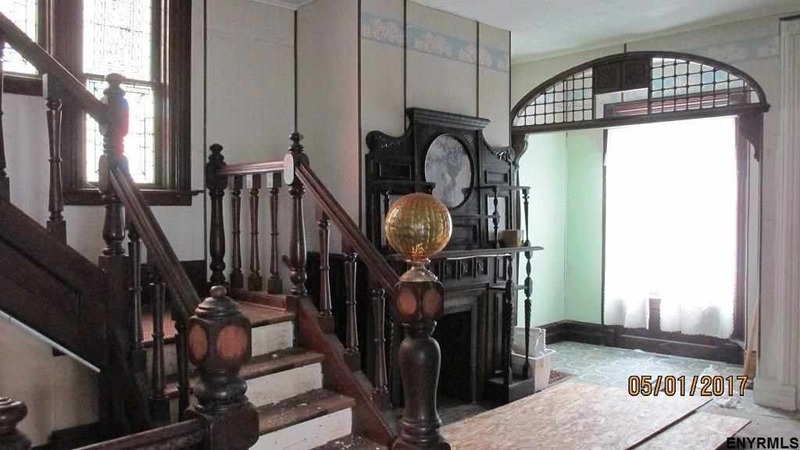 If I somehow had the resources, I’d buy up much of Academy, take painstaking efforts for a house by house authentic restoration, and finish up with it looking much as it did over a century ago. It’s worth keeping in mind that despite the unique old house camaraderie among Old House Dreams readers, most folks in the general population still seek out the brand new and whatever passes for today’s popular stylistic trends. Dear John, Your remarks caused me to want to share this. I went by my old house the other day, I believe that it was built in the 1890’s, to see what the new owners were up to. I had had moldings and corner blocks custom made to match the original, refinished the old floors and done everything that I could to be true to the house, which I bought in 1986. The new owners did a gut rehab. They took it down to the exterior walls. 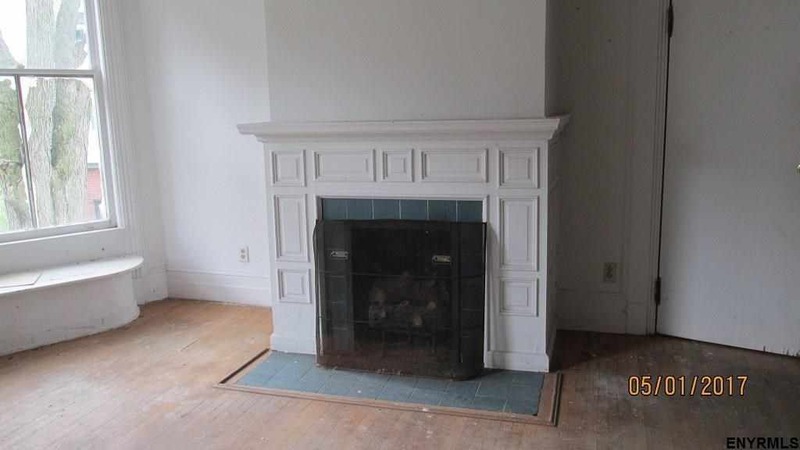 They even removed the fireplaces, chimneys and stairs. They cut down the huge shade tree in the back yard that I loved to sit under with branches nearly sweeping the ground. 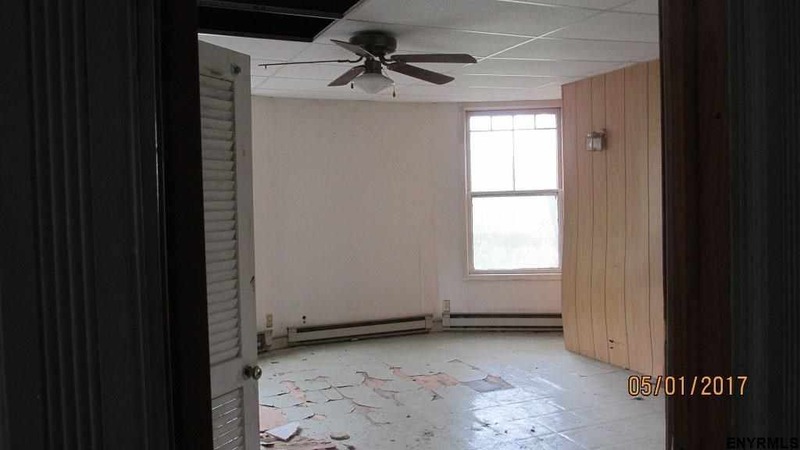 The realtor will list it as fully renovated and clean. Even though it was not a significant house, what I call Victorian tract housing, it saddens me that the care that I put into it was ripped away. On the other hand I learned a lot on that house, which gave me the knowledge to do a better job on the two places that I am currently trying to restore. I no longer have reason to yearn to go back. … I’m *always excited when I’ve subscribed to comments and see yours in my inbox. Turret is gorgeous. Love this house. I haven’t been in this house since the 1980s or early 1990s. It was a genteel lady back then, a bit shabby but much loved by her owner. The turret had curved glass windows that followed the curve of the turret. 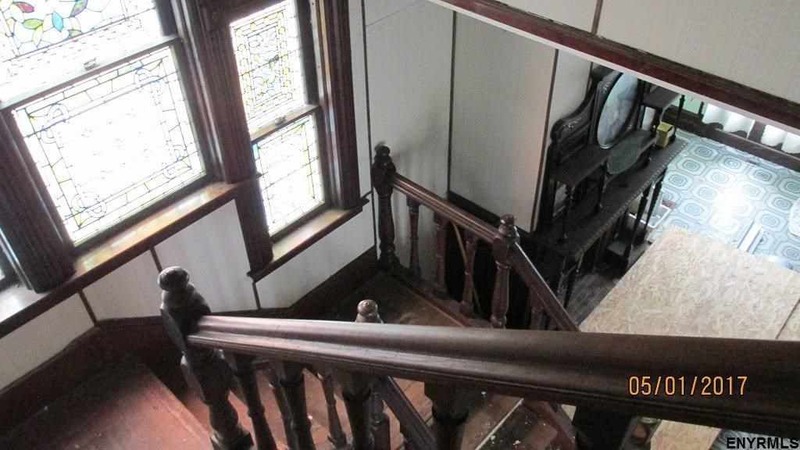 The turret contained a hidden servants’ stairway to the front-most room on the second floor. It may have gone to the third floor at one time; I have no idea. 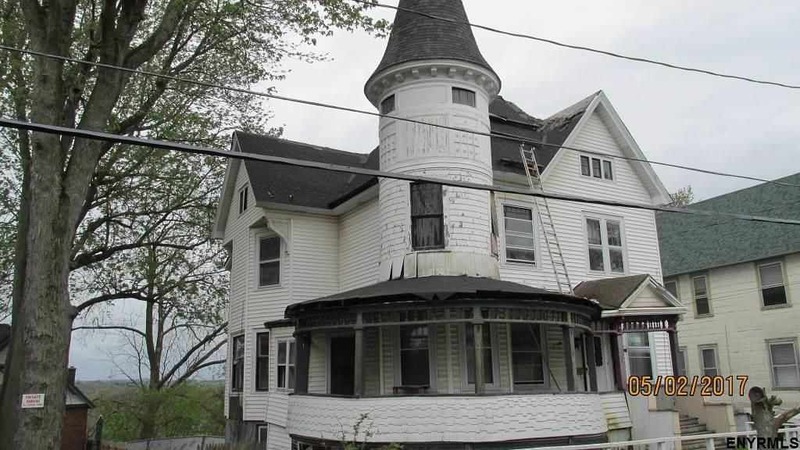 The turret on the second floor was a closet for the front bedroom when I knew the house, the stairway blocked off. In the second floor hall ceiling was a narrow, steep, shallow-stepped drop-down stairway to the servant’s quarters. I refused to go up them, but I still could see a number of interesting details from where I stood. There was another servants’ stairway from the basement (former kitchen and other work rooms used by the servants) to the first floor that went to the first floor just in front of what is not the kitchen and also branched into the room that is now the kitchen. 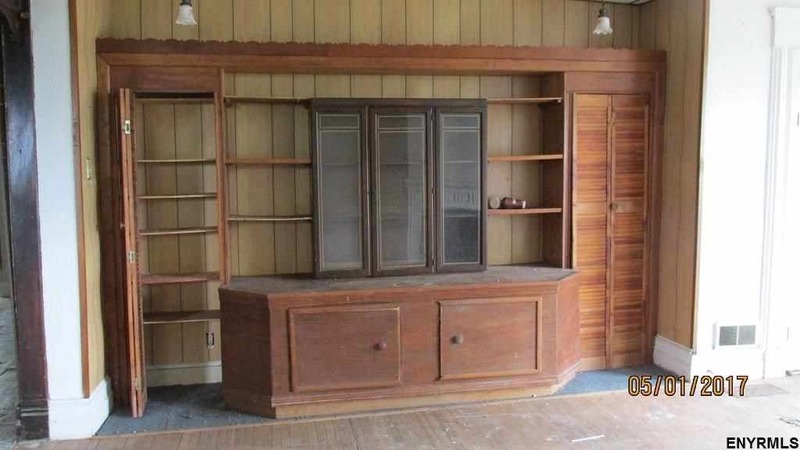 When the kitchen was moved, that doorway was blocked and turned into a curio cabinet. The paneling was already up on the first and second floors when I knew the house. Rather than notch the sheets to fit them around the fireplace mantel shown in the 4th and 5th pictures, the back of the mantel was cut out on each end so that the panels could be slipped behind them. I guess it was easier. There were lovely pocket doors on two rooms on the first floor. There are two large rooms and one small room on the left side of the first floor. I do not remember if the small one was between the large ones or at the back end. On the right side of the back of the house was another small room (now the kitchen) with lovely curved woodwork as two of the walls. The kitchen was stuffed into that space, and when you entered the house, you could see the refrigerator towering over the lovely wall. I do not remember a wall oven at that time. 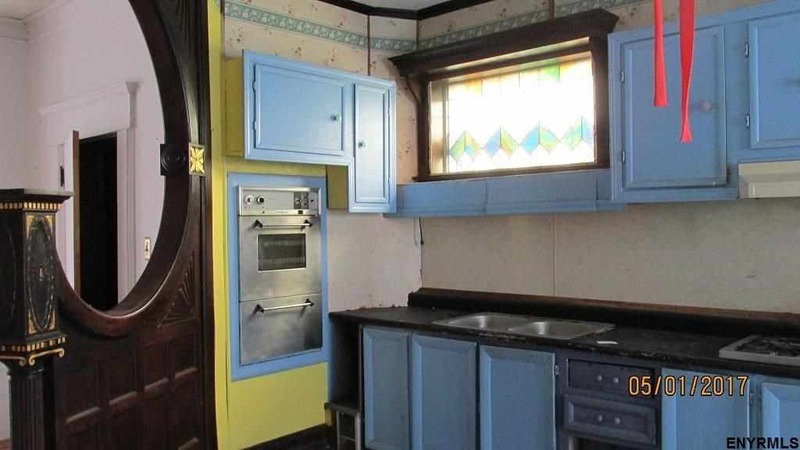 There was a stove on the same side as the refrigerator, to its left. Room from the room next door had to taken up to fit in a wall oven. The blue cabinets were there back then as well. The house had radiator heat and there was no baseboard heat. Part of the basement is/was filled with concrete chunks. I’ve seen that in several old houses, have no idea why it is there, and assume it would be a major chore to remove. 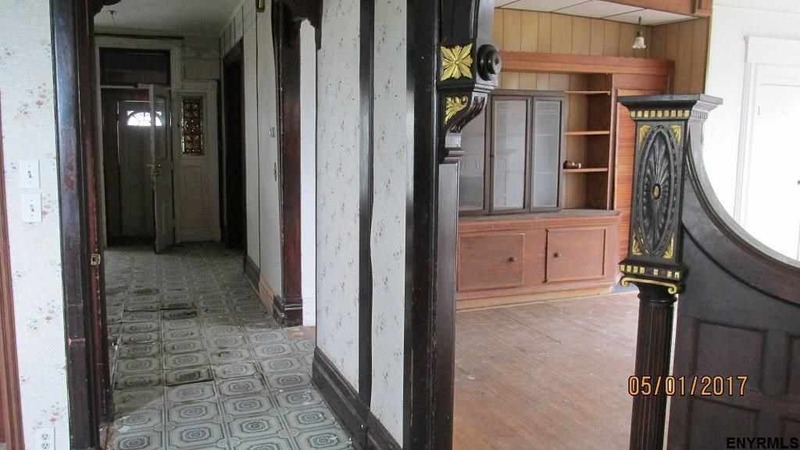 There were no linoleum squares on the floor and no fake wood back then or louvered doors. The backyard drops very steeply. AS I’ve said before, I would be surprised if part of the hillside someday gives way. I’ll be happier if it does not, but it has happened in other locations around here. There is no buttressing of that hillside. I would not park any closer than the front yard or on the street, and I hate parking on streets. Amsterdam used to be a wealthy town as were many of the Mohawk River valley/Erie Canal towns. When the river trade and canal trade dropped off, so did the wealth for most of these towns. Probably the best streets on which to see lovely old houses in Amsterdam are Division Street and Guy Park and streets intersecting with them. I was just in Amsterdam this past weekend photographing the two known Barber designs there, and stopped by this house because I thought it might be a Barber as well. After visiting and shooting it I do think that this is a smaller version of Barber’s design #1 from his “Cottage Souvenir No. 2” pattern book. Being only 2 blocks away from the other two Barber house examples adds weight to my conclusion. I also discovered another house a couple of blocks away that I believe is a Barber design as well. So much potential here, could be another diamond in the rough. I first read this without looking at what post you were commenting on. I was ready to see a European Barber home! It has been alleged that George F. Barber sold house plans as far away as Japan and also including South America, Canada, and Central America. I too would be curious to see any archival or extant Barber designs constructed outside the United States. The last place I’d expect to see a Barber design would be Europe because like it or not, Europeans viewed emerging American architects in the 19th century as inexperienced compared to those schooled in Europe. However, after American architects Henry H. Richardson and Richard Morris Hunt graduated from the Ecole Des Beaux Arts in Paris perhaps their stature was enhanced in European eyes. (they certainly were considered top tier architects by their wealthy American patrons.) Barber never aspired to such lofty acclaim, his goal was to offer affordable house plans to the general American public through the U.S. postal service. Few would argue that he wasn’t successful in this endeavor; a claim of selling over 20,000 sets of house plans between 1888 and 1908 is part of his legacy. At least in COTTAGE SOUVENIR No. 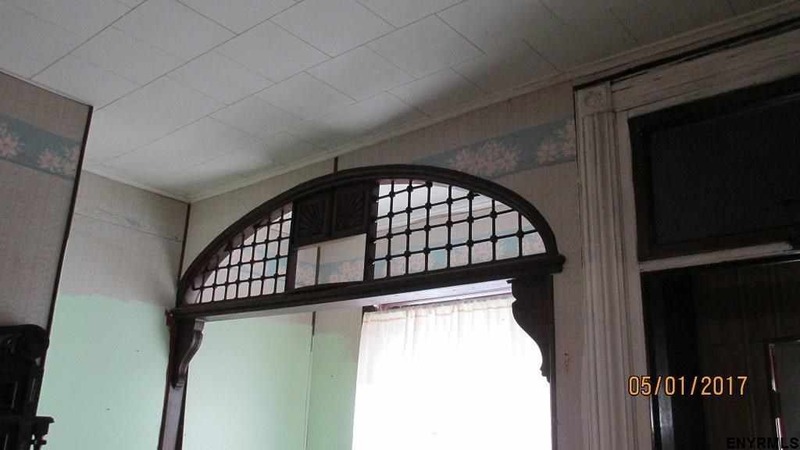 2, Barber included some house parts-corbels and gable ornaments-for sale. However, Barber had such a close business relationship with huge millwork/house parts firms like Foster-Munger in Chicago (which described Barber in their ads as though he were their “in-house” architect) that upon request the client for Barber house plans could also be assisted with finding a supply source for house parts to use in their construction. No telling what resources were recommended for Barber’s limited number of foreign clients. Well, of the 2,180 examples of Barber designed homes that I have recorded, only 14 of them were built outside of the USA. All 14 were built in Canada, so I have not yet found any physical evidence to support the claim that his homes were built outside of North America. Don’t get me wrong, I do believe that some were built outside of North America, as Barber published, but finding them is even more difficult given the language barrier and the lack of adequate documentation. But I will continue to search for them, as you know, and if I find any, they will be published in some form or another (hint) (hint). Regarding how Barber designs were often built when local resources were tough to come by, Barber did produce “full size” detail drawings for the elements of character, when producing the drawings for a client’s home. I have seen artifacts of these large drawings and they are something to behold. Imagine being a carpenter in the 1890’s and having full size drawings to work from, as you construct a home. It had to make things much easier for them, and it allowed them to take the drawings to lumber mills and have pieces cut to match the drawings. This is how I envision a contractor in the Philippine Islands, building a Barber designed home there. Also, Barber’s monthly magazine publication required him to solicit advertisers to help reduce the cost of the publication. This in turn helped Barber build relationships with many distant suppliers of architectural elements that could be used to construct his homes.